Corinne Acampora Interiors & Art is a full service interior design firm based in Wellesley, Massachusetts. Corinne brings years of interior design experience to clients seeking to transform their living spaces. Her design approach with clients is guided by the principle idea that each space should be a unique reflection of its dwellers - and so a focus on the lives, activities and personalities of her clients is a strong theme throughout her process. Prior to founding Corinne Acampora Interiors & Art, Corinne began her career in art and design while working at Christie's Auction House in New York City, where she worked in the Post-War & Contemporary, 19th Century European Paintings, and Maritime & Sporting Art departments. After her time at Christie's, Corinne was a project manager and designer for a top Boston-area interior design firm. Since starting CAIA, Corinne has had the opportunity to work on a number of projects in and around Boston including residences in Boston proper, surrounding suburbs and the Cape and Nantucket. Corinne received a Bachelor of Arts in American and Non-Western History from Syracuse University and a Master of Arts in Modern Art, Connoisseurship and the History of the Art Market from Christie's Education New York. She resides in Wellesley, Massachusetts with her husband, 2 children and 3 miniature poodles. Tricia joined Corinne Acampora Interiors & Art in 2016 after spending many years collaborating with various Boston design firms. Before joining our team, Tricia began her design journey at Endicott College where she received her Bachelors of Science degree in Interior Design. She went on to completer her Master’s Degree in Interior Architecture with a focus on residential design. On the weekends she can be found cooking, antique hunting and strolling with her family and beloved dog Otto. Kate joined Corinne Acampora Interiors & Art in 2019. Before joining our team, Kate worked as a Design Assistant at Havenly’s first pop-up interior design studio in Boston’s seaport “She-Village” where she gained first hand knowledge and experience working in an interior design/tech start-up. 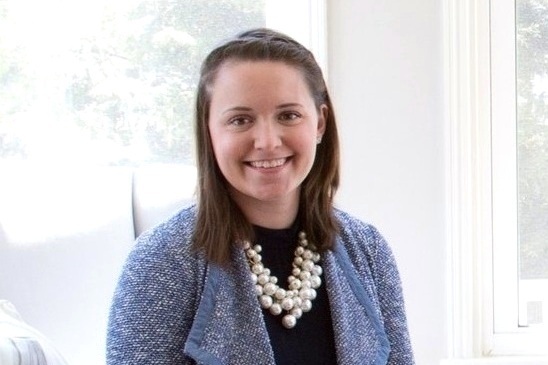 Prior to her time at Havenly, Kate worked as an Assistant Account Executive at Hill Holiday. Kate brings a unique blend of experience in both interior design and communications. In 2016 Kate graduated with a Bachelor of Arts in Communications and minor in French from the University of Maryland.